I was getting bored of my previous case, and its poor build quality meaning that I never truly felt connected to my phone. It was almost like my phone was hidden under some thick treacle. 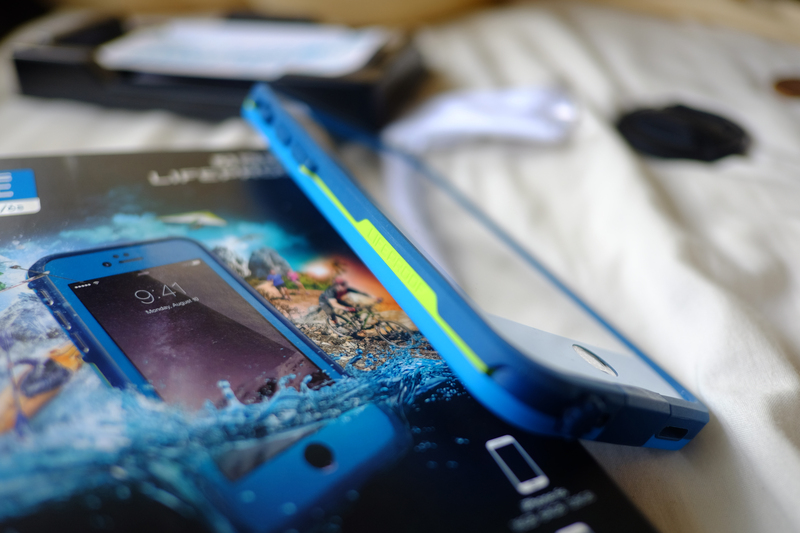 SO I decided to go for Lifeproof’s FRE. Life proof have been around for a few years, and recently merged with Otterbox. So I thought I would take a punt and try it. Waterproofness has never been something I’ve wanted or needed really. Simply shockproofness, however now with all the rain I seem to be attracting I thought The lifeproof is the way to go. (Also cycling and running with it in my pocket-it does get damp from perspiration). So, it comes in a nice box, with magnetic closure, and upon opening it comes with a host of little leaflet booklets(I don’t read that sort of stuff), it comes with a sticker……nice….but…why? and more importantly it comes with a headphone jack extension. If you look closely it has a screw connection. And as such you can use waterproof headphones. No idea what thats like-listening to music underwater???? Anyways….. The case is easy to install. Put the phone in the screen, push down, then connect the back panel by clicking it all around-like a good quality tupperware box (Not the crappy clip ones you get now, Im talking 80’s quality tupperware). So it fits in nicely. The touch Id works a treat, the silent/ringer rocker is behind protection, and works a treat. And the lightning port protector is actually engineered to hinge. It doesn’t simply have a bit of rubber hanging off it, to plug the slot. So things look good. The case feels quite slim in the hand-I guess this is due to its waterproofness, and air pockets aint a good thing. It feels solid, and it feels reliable. The camera has a large crisp opening, and as such the camera won’t suffer from any parallax , or image cut off-to the lay man! Time will tell, but I like it. It seems well built, I like the lime green highlight. I like the port protection. If you have questions-drop me a line!